With the passing this week of Ray Tomlinson, I am tripping down memory lane and thinking once again about email. Ray, for those of you that don’t recall, was credited with the invention of the @ sign back in 1971 as a mechanism to separate a user from the computer that ran the user’s account. It took decades before it became the ubiquitous part of the Internet addressing system that we all take for granted today. But, no disrespect to Ray, email is a lot more than just the @ sign, although it certainly is the easiest and most recognizable part of it. If you want to really dive into the history of email, I would start with Dave Crocker’s excellent compendium site. Crocker had a hand in inventing several key elements of email infrastructure himself and wrote this excellent history of early email for the Washington Post several years ago. As you review some of these documents, you’ll quickly see that email isn’t just the product of any one person. Like many of the things behind the Internet and the world of open source software, dozens if not hundreds of people contributed, block by block and bit by bit. Today’s email system makes use of numerous different protocols to get a message from you to me and back again. What is astounding is that essentially email is the same basic service and “has not been replaced or interrupted in 40 years. It simply grew from a couple hundred users to a couple billion,” as Crocker wrote in his Post piece. Well, maybe not so simply, but still. 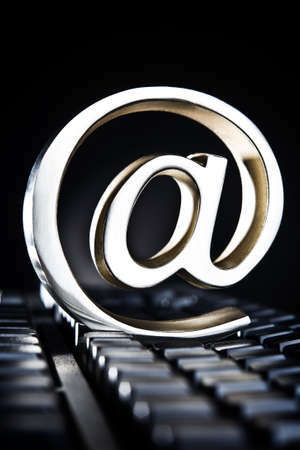 One thing not often discussed is the fact that for its early years, email thrived outside of the Internet. Many of the early email systems were local to a company, and only able to exchange messages with other users there. Vendors such as cc:Mail, Network Courier, and Higgins (remember those?) dominated that early corporate landscape. Eventually, the Internet would connect these disparate systems together and avoid the use of messaging gateways or remote dial-up modems. Now it is almost impossible to use email and not be connected to the billions of others online. Of course, finding a current email address for a recipient is another matter. All food for thought when you send your next email. And with Gmail, you are also whispering into Google’s AI global ‘mind’. Ah, how time passes. My first email account was on Computer Corporation of America’s Comet system back in 1979. Manufacturers Hanover Trust, where I was working, deployed it internally on their private X.25 system a couple of years later.